Distinctive Dentistry of Chester County was founded to promote high quality, state of the art, dentistry to the discriminating patient. If you’ve never had an enjoyable experience at the dentist’s office, if you’ve never been amazed at what a dentist can do for you, we would like to introduce you to Distinctive Dentistry. This is a practice that was created with you in mind. From the moment you walk through our door, you will realize that you are the most important person in the office and that this is a place where your needs come first. Whether you come to our practice for prevention, restorations that will leave your teeth looking naturally flawless, or esthetic dentistry for a smile of distinctive singular beauty, we want you to be glad you chose us to be your dentist. At Distinctive Dentistry we think about your health and good appearance in everything we do, from a simple tooth-colored filling to a total smile enhancement that gives you the smile of your dreams! If you have a tooth or teeth missing, we use the best and most modern method of permanent tooth replacement, dental implants. So natural, only your dentist knows for sure! The goal of all treatment performed in our office is to “Restore every tooth to its, most naturally perfect state using the most advanced equipment, materials, techniques and methods available today.” We enthusiastically welcome those of you who strive for excellence and don’t settle for anything less! Holds undergraduate degrees in Biochemistry, Education and minor in Mathematics from Niagara University, New York. Following a brief stint in the real world, he returned to the university setting and received a doctorate in Dental Medicine from the University of Pennsylvania in 1986. Interests in the field of dentistry include esthetics and implant dentistry with a complete commitment to the highest standards of ethics and quality of care. Dr. Smith is a graduate of The Baylor Continuum For Esthetic Dentistry, The Las Vegas Institute for Advanced Esthetics, The International Symposium on Implantology at the Goldman School of Dental Medicine, Boston University, The ITI International Symposium on Implantology and is a Clinical Instructor at the Aesthetic Advantage-Advanced Esthetics Continium at the Rosenthal Institute-New York University . 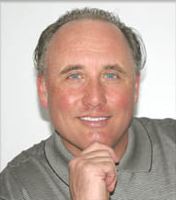 He is a member of the American Academy of Cosmetic Dentistry and the International Congress of Oral Implantologists.